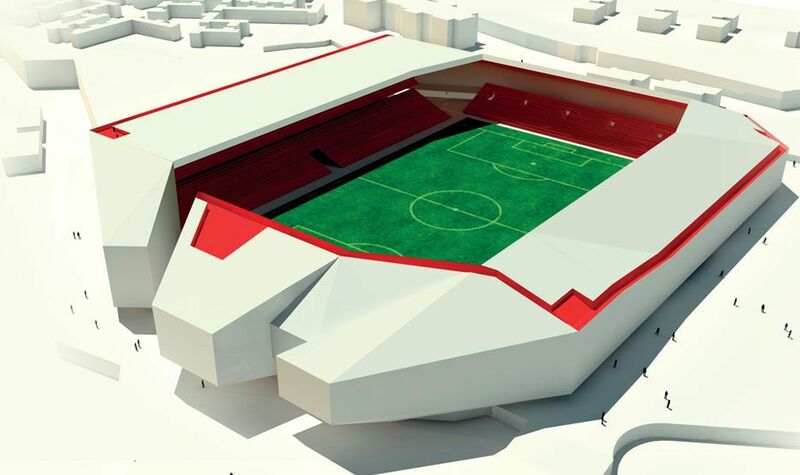 The idea of Gibraltar’s new national stadium came up as the territory’s football association (established back in 1895!) was accepted as UEFA’s latest member in May 2013. 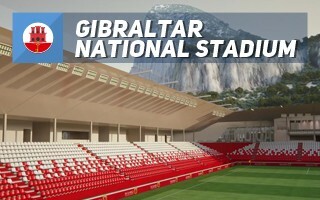 A new stadium is necessary if Gibraltar is to host international games within its boundaries. 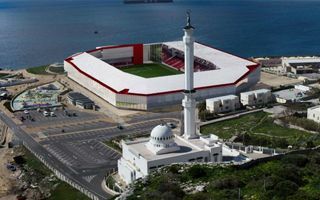 The only plot able to hold a modern stadium is Europa Point, previously a cricket ground and a stunning location overlooking the Strait of Gibraltar. The stadium is to take a modern, angular form, almost completely enclosed. With mostly translucent and partly transparent glass cladding, it’s supposed to appear light by day and glow like a lantern by night. Combined with its location, it may be a new landmark and one of first buildings seen by crews and passengers of ships travelling through the Strait. The whitish exterior also represents the colours of Gibraltar with red accents. Inside it’s mostly red, creating a much more vibrant environment. South stand is expected to be low with the tall glass wall allowing other viewers to have a peek at Africa on the other side of the Strait. There will also be viewing points created on the very south stand. Construction is expected to take 18 months and may be done in 2016. 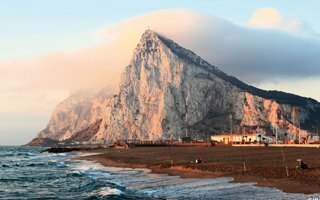 19.04.2017 Gibraltar: National stadium on the rock after all? After the failed Europa Point project now it’s time for a more conventional solution. Victoria Stadium will be razed and replaced by a football-specific national stadium for 8,000 people. UEFA’s latest member association has a great football tradition ranging back to 1895. But currently the only stadium in Gibraltar isn’t able to hold international games. That’s why a new world class one is planned.